When it comes to your alfresco areas, being able to use them all year round is an extremely attractive option. The elements, however, can sometimes make the space unbearable – scorching hot sun and driving rain aren’t pleasant. When it comes to protecting your alfresco area, we recommend straight drop awnings online – they can be used to completely enclose the space. On top of protecting your alfresco area from the elements, drop down awnings can actually provide ultraviolet (UV) ray protection. As well as making the space far more comfortable, it will ensure that you’re making sun smart choices (as UV rays have been linked with the development of various skin cancers). 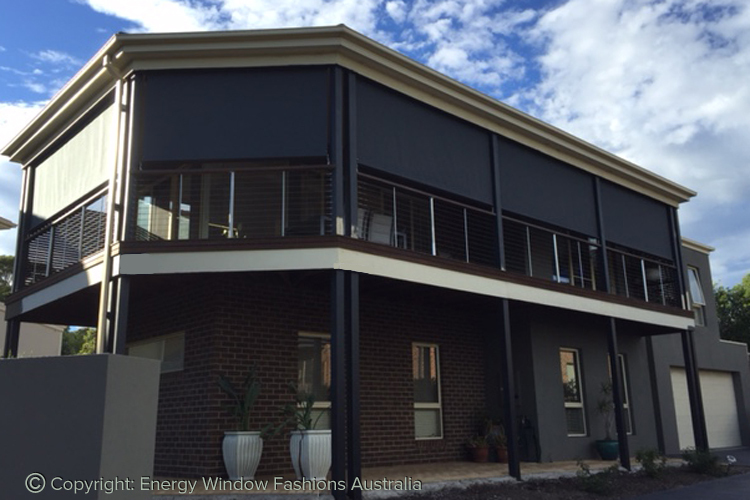 Although straight drop awnings in Melbourne will offer your home and family a number of benefits, there are a few key ones (besides UV protection, which we have already outlined above). These include: light control, improved privacy, temperature regulation and protection for your outdoor furniture. We have a variety of different fabrics to choose from in the manufacture of our awnings, ensuring that you receive the benefits that you desire. The main ones that we offer include acrylic, canvas, mesh and clear or tinted PVC – if you have another fabric in mind, please get in touch and we’ll do our best to assist. One of the best things about outdoor straight drop awnings is that they’re incredibly easy to use – all you need to do is turn the crank handle in order to raise or lower the blind as desired. Once it’s reached your desired level, you simply clip it into one of the bottom set points and you’re done.